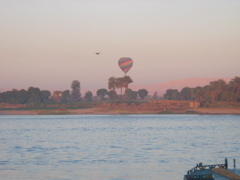 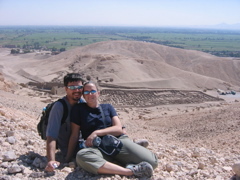 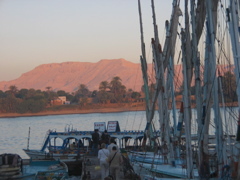 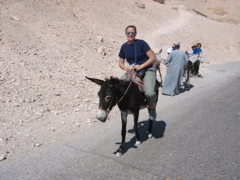 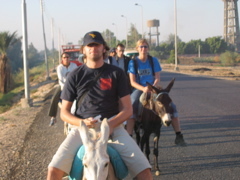 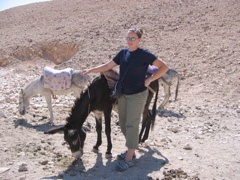 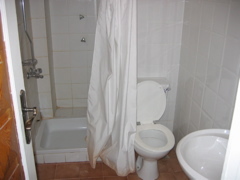 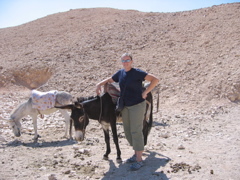 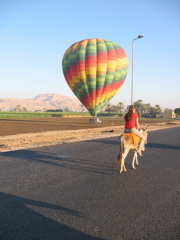 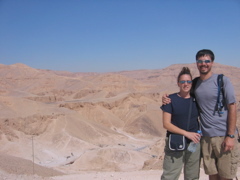 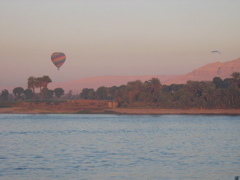 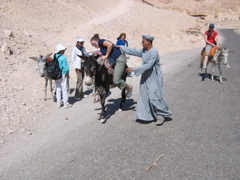 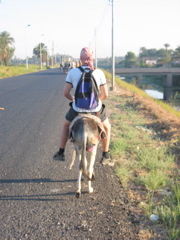 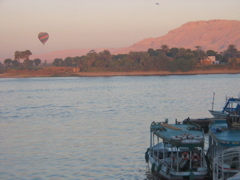 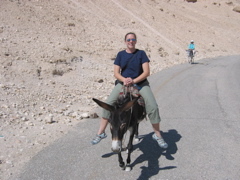 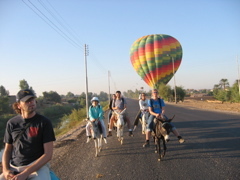 Although Lynette was still sick, we set out early to catch a boat across the Nile and hop on some donkeys that took us to the Valley of the Kings. 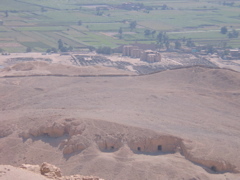 We toured through three of the tombs, which, being underground and protected from the elements, had spectacular, colorful paintings and carvings on the walls. 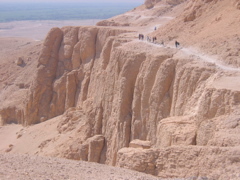 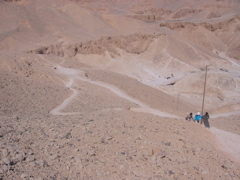 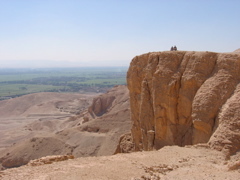 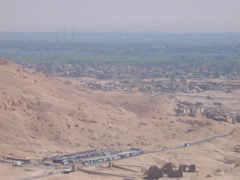 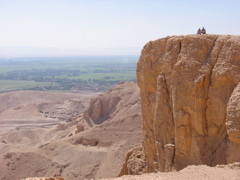 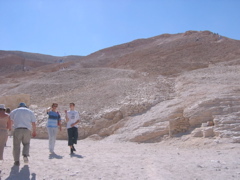 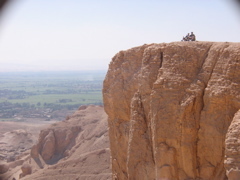 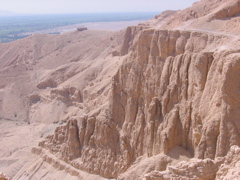 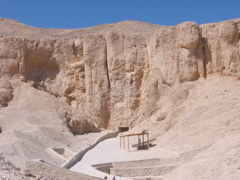 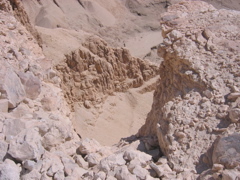 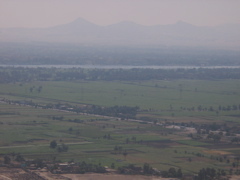 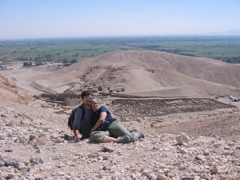 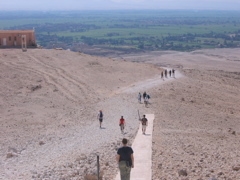 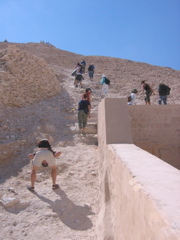 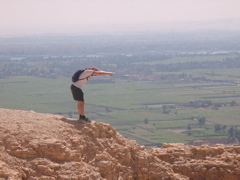 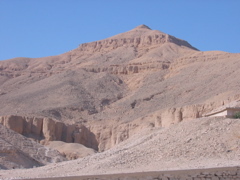 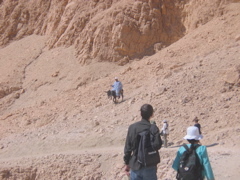 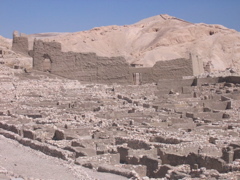 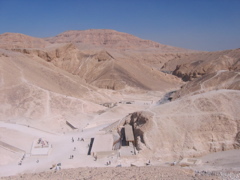 We then took an impressive hike, scrambling up a steep trail up the side of the valley and down into the Valley of the Workers, passing by an overlook of the Valley of the Queens. 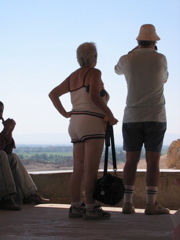 The views from the top of the trail were spectacular. 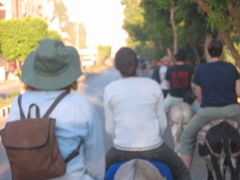 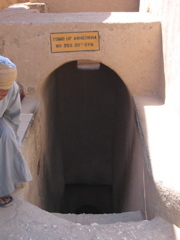 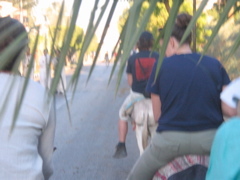 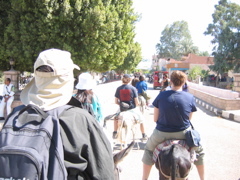 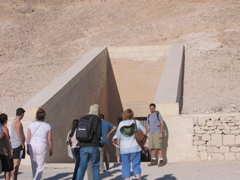 We took a quick tour of a couple of the tombs, then hopped back on our donkeys to get back to town. 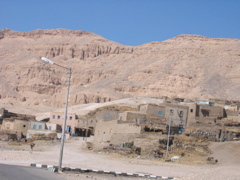 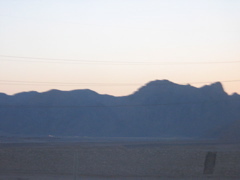 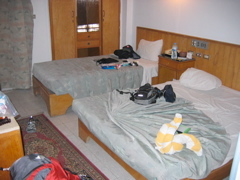 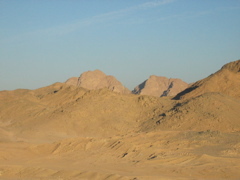 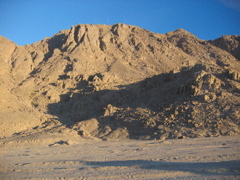 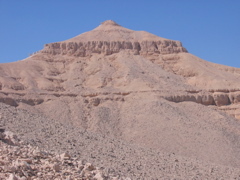 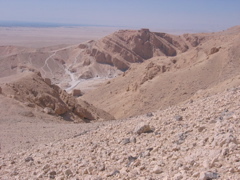 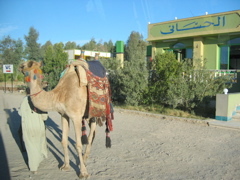 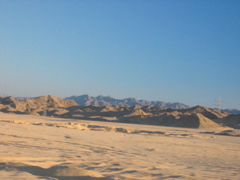 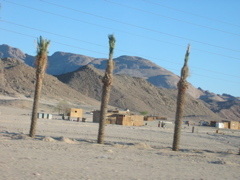 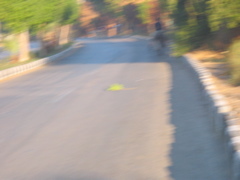 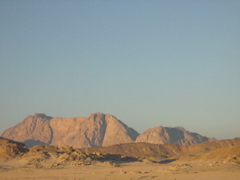 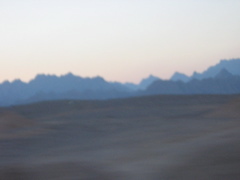 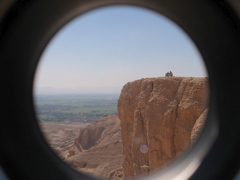 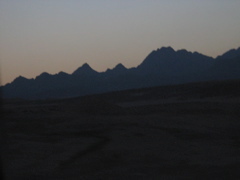 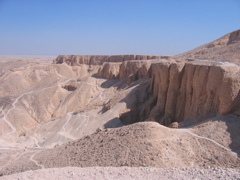 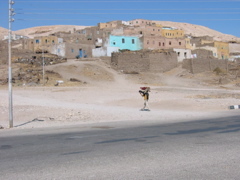 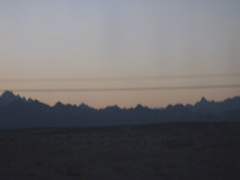 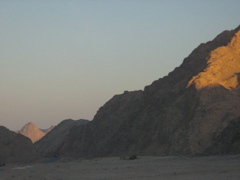 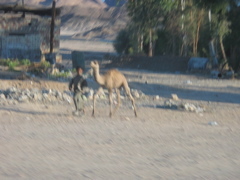 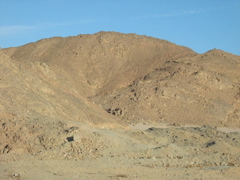 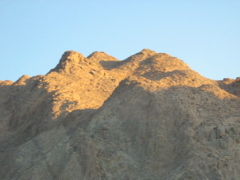 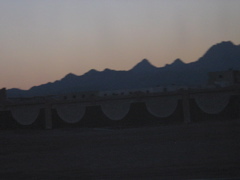 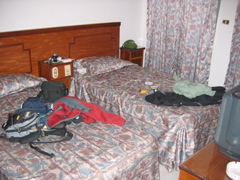 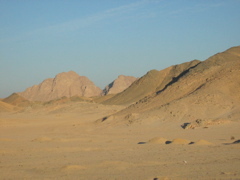 That afternoon, we took a bus over the mountains to Hurgada on the Red Sea coast for an very short stay.